The sump pump might not be the most glamorous part of your home, but it’s certainly one of the most important. Whether you have a full basement or just a crawlspace, this device helps prevent flooding, which can landslide into a host of other problems. 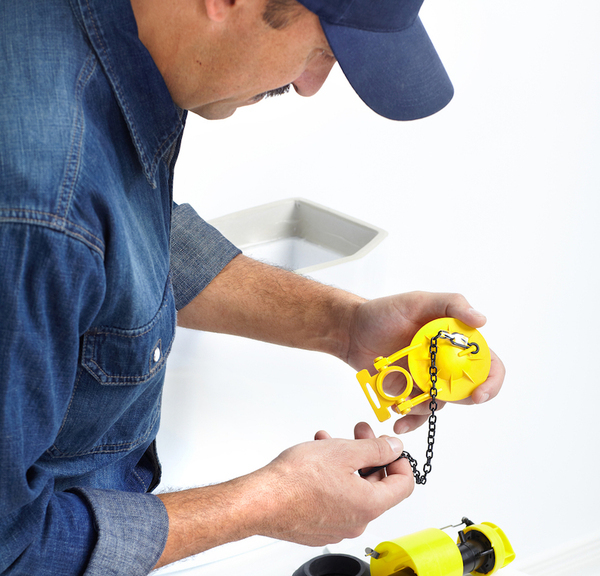 The only thing that your sump pump asks in return is a little care, maintenance and cleaning. Whether or not anyone is ready to admit it, winter weather is not far in the future. That brings snow and sleet, which could translate to water in your basement. Because you never know exactly when water will seep in, the best defense is a good offense. The worst possible time to find out that your sump pump needs maintenance is during or after a storm. And when the weather is cold, a wet basement can be a miserable place to work. Keep the sump pump clean and you’ll have a better chance of keeping the basement dry throughout the fall, winter and on into next spring. Where water infiltration is a chronic problem, most homeowners opt out of finishing the basement into a living space. But basement laundry areas are still fairly common. 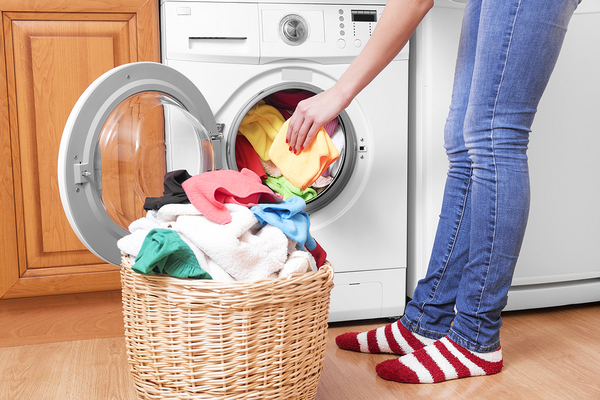 If you’re one of the people who check the dryer in your stocking feet, water on the floor can be an awfully unhappy surprise. Even a little dampness can also lead to mold. In an environment that’s already damp from the washer and dryer, that’s a perfect recipe for mold and mildew. So do yourself and your family a favor. Check the sump pump sooner rather than later. Perhaps the most important reason to keep your sump pump clean is extending its lifetime as much as possible. If it’s left to do its job but isn’t cared for in return, the whole thing could go up in smoke long before its time is due. A checkup and cleaning aren’t time-intensive. It doesn’t cost a fortune, either. 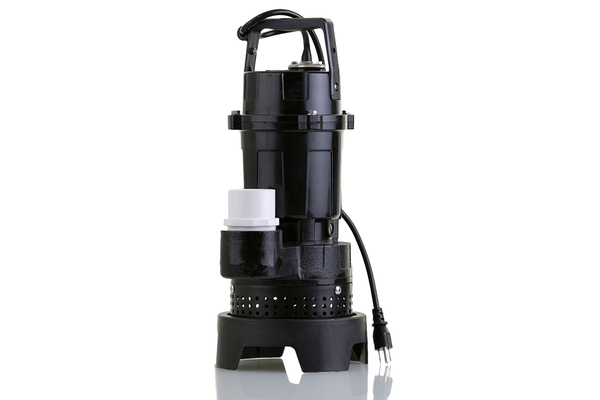 And considering that every pump will eventually require replacement, cleaning and maintenance now mean your new sump pump investment is less likely to happen by surprise. Most homeowners aren’t excited about showing off the sump pump. It’s not as aesthetically pleasing as, say, a new sofa, stainless refrigerator or flat-screen TV. But the second that it malfunctions, it gets everyone’s attention. Fortunately, the problem can often be avoided with maintenance and care. Avoid a water backup in your basement or crawlspace and keep your equipment working smoothly with regular cleaning. At Rodenhiser Plumbing, Heating A/C and Electric, we’ve helped homeowners in the Route 495 / 128 area with plumbing issues for generations. And we can handle your sump pump, too. Call Rodenhiser today and we’ll handle the messy work. With years of experience in home design and with an incredible creational spirit, Danica Silver Gladen is dedicated and prolific designer. Through the help of BuckEyeStateBlog, she wants to take her passion for innovative home design and share it with the world, helping more people create their dream homes. Can you talk to us about your interest and experience in interior design? Well, I’ve always liked a pretty home, since I was a kiddo and played with my dolls, I guess it’s in my blood. I can say I have an inner drive towards the pleasant things and this includes interior design. I want to love the place where I am spending most of my time and for this I am willing to make a lot of effort. Sharing my love for design with the rest of the world was the next step. As for experience, I tackled all kinds of projects from modern ones to classical ones. I personally believe that if you love what you do, you’ll always find a solution. What makes for great home design in your opinion? In my opinion is the mix between vision and utility. After all, it’s a house – so we need to live in it and love it at the same time. Large spaces are something I would always opt for because they give you that feeling of freedom we all crave. What are the most exciting home design trends you’re following right now? Well I would summarize it in one word: “Diversity” (or you may call it boldness). There’s one specific trend – because nowadays people want to stand up in their community and impress people with their houses – the new “thing” right now is driven by color mixtures and daring shapes both in the outside and inside. People are becoming more and more courageous and that’s something I like because this new creativity creates something wonderful in the industry. Now we have people who don’t just want a simple roof over their heads and four walls to stop the wind; they are basically creating art with their homes. I know we are talking about real-estate, but I love those irregularly shaped houses with modern lines … it’s pretty exciting. Aesthetics are important to homeowners. But how can they approach less showy aspects of the home – things like HVAC, plumbing, gutters, etc. with an eye toward great design? If you can’t hide these things, you don’t need to see it as a tragedy. There are lots of ways to mask these utilities or blend them in with the environment by using special paints or even designs that will make them blend with the overall aspect of the house. You can turn a necessity into art if you really want to – and I’m saying this from experience. For gutters and even AC, for instance, you can use different plants to draw attention away from them, making the utilities less obvious. There are millions of solutions, you just need to be innovative. What home improvement investments offer the best bang for their buck today? Well for long-term investments and resale, people care a lot about baths and kitchens. Investing in a lavish bathroom with all kinds of things, maybe even a jacuzzi tub, will most definitely pay off. The overall preference is definitely for a good kitchen (with granite elements) and a bathroom that you never want to leave. How should homeowners go about prioritizing their home improvement projects? Well, first of all, everyone should verify the foundation of their home because this is what holds everything. It’s no use to spend thousands on new floors or a heating system when your home is about to fall over. Everyone should start with the basics and then go on according to their own preferences. A new trend in home building is independence and low-energy costs, thus if people are into this, they can invest into renewable energy for their homes. Where do you find homeowners become the most overwhelmed or frustrated during a home improvement project? People are always excited about their homes and want everything to happen overnight. I don’t see this as something bad, but all that excitement can turn into frustration and useless stress. Another thing is seeing their home basically “trashed” – looking like it’s beyond repair during the remodel process – and they freak out that it will never look the picture in the brochure. They are not experts, so we try to explain the steps to them as clearly as possible and make them understand that the actual work stage has nothing to do with the final product … patience, always patience. What should homeowners do to make a home improvement project go more seamlessly? Well, the simple thing is to let professionals handle the situation. Working with certified companies guarantees both speed and quality. There’s no need for the owner to intervene if they hire people who are capable of handling the project. What’s one piece of design and/or home improvement advice you find yourself repeating over and over? Going beyond design, I’d say people should always check the insulation of their home. This can save a lot of money and energy to invest in later design upgrades. Large windows to trap sun’s heat and a perfect insulation that will keep that sun inside saving you a lot of money… that’s it! We all know how money is tight now, and finding ways to save money wherever you can might prove to be the best investment you make in your home. The sun is our source of life and energy and we run on its energy ourselves, that’s why I say everyone should give it plenty of opportunities to allow it inside the house. This should always be combined with a light-colored nuance inside the house to give a natural vibe to the whole environment. Ready to replace your outdated, inefficient HVAC system? Contact us about an HVAC new system install. Aeroseal resolves high energy bills and leaky air ducts without adding pollutants that affect indoor air quality. 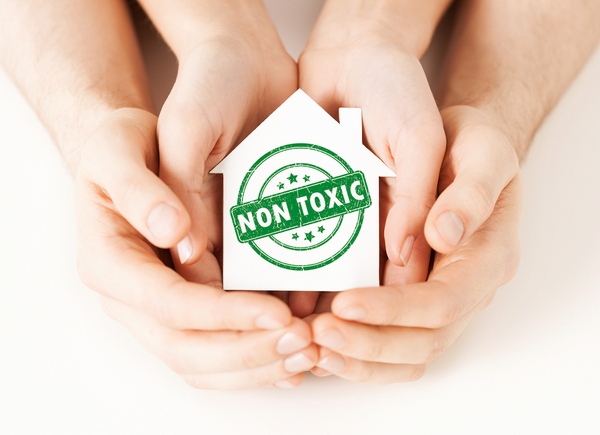 The more people become aware of chemicals and hazards that pollute the air, the more they think about the materials and products used in and around the home. That’s why Aeroseal is a perfect, safe solution to leaky ducts; it won’t create a brand new problem. The development of Aeroseal was backed by the U.S. Department of Energy and the Environmental Protection Agency. Their research led to the Aeroseal methods and materials for sealing the leaks that waste energy and money and harm indoor air quality. The EPA discovered that indoor air, especially that in the home, is sometimes as much as 100 times more polluted than outdoor air. And a large part of the problem is leaks that allow pollutants inside. Further, the Aeroseal product doesn’t add pollutants of its own. The Aeroseal process involves sealing off the HVAC system, pressurizing it and sending a mist of sealants through the ducts to close off every air leak, no matter where it’s located. That naturally makes homeowners wonder just what’s in the mist. The primary component in Aeroseal is Vinyl Acetate Polymer (VAP). But don’t worry about the chemical-sounding name. It’s the same thing you’d find in chewing gum and zero-VOC, water-based paint. OSHA doesn’t even list recommended VAP exposure times. Aeroseal is so safe, most people don’t have to leave home while the technician seals the ducts. And there’s almost no odor. With all of that mist filling the ducts, you might wonder about how it affects the mechanical parts of your HVAC system. Not to worry. Part of the Aeroseal process is sealing off the system. The only areas affected by the sealant are the ducts; everything else is blocked until the process is over. Aeroseal won’t clog up your ducts or reduce airflow, either. It works under pressure that forces sealant into the openings. Mist enters the ducts and only sticks to the edges of gaps and leaks. Then as more mist fills the system, more and more sealant particles build up only where you need them. Eventually, leaks are sealed and the remaining sealant is drawn back out again. Aeroseal isn’t just safe to use, it makes your home a safer place to breathe. Allergy sufferers may find that dust and seasonal issues with pollen are a thing of the past. And of course, the biggest benefit is reduced energy costs and lower bills. It’s an all-around win. If your home is dusty and your heating and cooling bills seem to get worse and worse every year, the problem might be as close as your ductwork. And now, there’s a much more effective way of sealing the gaps and leaks than applying aluminum tape and mastic. Aeroseal reaches into the farthest nooks and crannies of your ductwork and adds nothing to contaminate the air. Call Rodenhiser today to learn more about Aeroseal and to schedule your appointment. The coming cool weather can be the cleanest, warmest and most efficient heating season your Massachusetts home has ever seen. For one of the busiest fixtures in one of the busiest rooms in the house, the humble toilet doesn’t get much attention unless something goes wrong. It’s easy to decide that it needs replacement if there’s water all over the floor. But what about subtle issues that are just as detrimental? Here’s how to decide if the porcelain throne in your bathroom is perfectly fine, or if you should turn it into a flower planter. Cracks are typically clear signs of a toilet problem. But some cracks are very small, and some don’t appear to affect the toilet’s function. If no water leaks out, wouldn’t it be fine to live with the damage and replace the toilet later, if the cracks get worse? Any crack means that it’s time to replace the toilet. And there are several reasons why. A crack in the bowl lets water escape, even if it’s in such small amounts that you don’t notice it. The last thing that you want is toilet bowl water leaking into the subfloor, but that’s what happens. It’s just not sanitary. Also, a crack is a very weak spot in the porcelain. You never know when the pressure of someone sitting down will worsen the crack or even break the toilet in half. We get it. There’s a big market for vintage homes and the vintage fixtures that to into them. But a vintage toilet is incredibly wasteful, no matter how great it seems to work. Toilets have no moving parts except for the tank accessories. So a vintage model could last virtually forever as long as you replace the flapper and other parts as they wear out. But the one thing you can’t change is the size of the water tank. A new toilet uses significantly less water per flush than an older toilet. And if you’re worried about low water equaling a poor flush, those days are over. New models are vastly improved over first-generation low-water toilets. Now you can save money, conserve water and get the operation that you need. If you have a newer toilet but find yourself wishing for an old, inefficient, wasteful one that never clogged up, you have another reason to upgrade again. Low-flush toilets were a great idea in the beginning, but the design hadn’t quite been perfected with the earliest models. Repeated flushings negated the water conservation of smaller tanks. But one of the most annoying side-effects was recurring clogs. If you have to keep a plunger handy, it’s time to replace. New low-flush toilets may use as little as a gallon per flush, but have no backup issues. That’s because the trap has been redesigned and there’s also a pressure-assisted flush mechanism that needs less water to work more effectively. Just because a toilet can last forever doesn’t mean that it should. If yours is more than a few years old, it’s probably a good idea to think about a replacement. Cracks can give way at any time. They also let unsanitary water seep out to your floor. Scratches inside the bowl also collect stains. Older low-flush toilets often suffer from bad design. There are many reasons to upgrade your older, inefficient toilet, and few reasons to put it off. If you want to conserve water, reduce clogs and have an easier time with cleaning, let Rodenheiser bring your plumbing into the 21st century. Gary Wollenhaupt is the editorial director of ProudGreenHome.com, a website devoted to inspiring and education home builders and owners on their own green home journey. Tell us about ProudGreenHome.com. What is your mission? We are an online resource for homeowners, builders and the residential construction industry to accelerate the adoption of high-performance strategies, systems and products for all types of single-family and multifamily, new and remodeled homes. Why are you so passionate about green homes? My passion comes from improving efficiency and eliminating waste – wasteful use of energy and water, waste in the production and transportation of goods for production and shipment of building products. 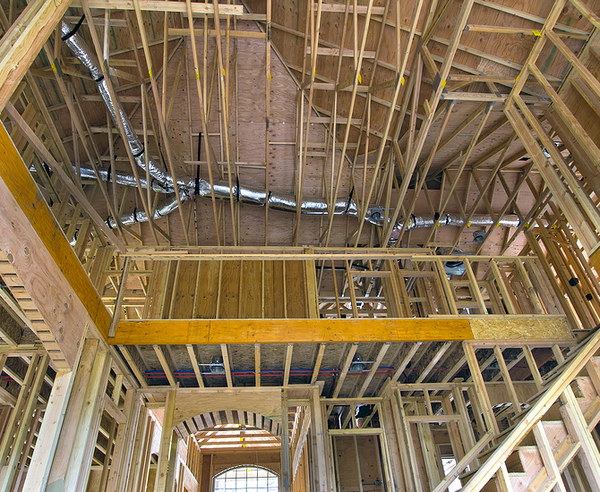 The process to build a standard wood-frame home is mind boggling; it’s a wonder they get built at all, let alone built with any degree of quality. Of course, reducing energy use, being wiser in our use of natural resources and reducing pollution all add up to positives for the environment as well. What are the most interesting trends or innovations you’re following in green homes today? The growth of home certification programs such as Energy Star, LEED, National Green Building Standard, Passive House, and so on, finally give homeowners some measure of quality control in their homes. Previously, if a new home owner didn’t see a problem during the punch list walk through, it was really hard to get it fixed. Now third-party raters verify the performance of the home. What are the benefits to homeowners of integrating green products or systems in their homes? A high-performance home or green home can be more comfortable in terms of even heat and humidity levels, better air quality with less pollutants in the home, and lower cost to live in over the years. In what areas of the home is it easiest for homeowners to introduce green products, technologies or practices? Smart thermostats like the Nest are an easy place to start. HVAC systems are getting crazy efficient, like the mini split heat pump systems. Steps like additional insulation, better air sealing and new windows can also be done one at a time. What green investments would you recommend all homeowners look into? The biggest bang for the buck is air sealing and insulation. Depending on how your home is built, for a few hundred or a few thousand dollars you can seal up air loss and start saving money immediately, literally while the insulation is being added to the attic you can start telling a difference. What green options should homeowners look into when they’re shopping for HVAC systems? Smart and learning thermostats are proving to be effective in reducing costs, so that can be a good place to start. If you’re looking at a new HVAC system for a home, look at the efficiency ratings. There are mini split heat pump systems that have a SEER rating in the high 20s, compared to 14 SEER for a standard unitary furnace. Geothermal or ground source heat pumps are highly efficient as well. What should home owners be looking for in HVAC systems if they want to be more green and energy efficient? Do your homework and compare the numbers such as the SEER rating. Energy Star certified products are also a good place to start. There’s always a trade off in cost vs. performance, but spending a little more upfront can save money for years to come. What green options are there in plumbing? First, look for Water Sense certified fixtures, it’s similar to Energy Star but for water conservation. Manufacturers work hard to provide the right level of water flow for sinks, showers and toilets while using less water. Also talk to your plumber about a water recirculation pump. When you’re waiting on hot water to reach the shower or the sink, that cold water goes down the drain and all the energy in it is wasted. A recirculation pump keeps hot water flowing through the plumbing system so it’s instantly available, you don’t have to wait for the water to get hot. The pump can be activated by a timer, a motion sensor or a wall switch. Homes save lots of money on water and energy. Do you have any anecdotes or examples of homeowners who have gone above or beyond in introducing green practices/products/systems into their homes? What can we learn from them? Maura and Kurt Jung built the first Passive House certified in Michigan, which is the top-of-the-line in green home, using 80 percent to 90 percent less energy than a typical home. Their architect-designed home is a modern interpretation of a Michigan farm house. The Jungs settled on the Passive House path because it met their desire for environmental responsibility while allowing them to choose their favorite architectural style. A Passive House is like the Porsche of houses, well engineered and high performance, compared with a Ford Taurus standard home. You can have a vision and make it come true, the lesson is to find partners such as architects and builders that will listen to you and not steer you to what they know how to build. Contact Rodenhiser about your HVAC new system install. What are the Benefits of Aeroseal? Aeroseal helps your whole family breathe easier. Aeroseal might sound like some kind of gadget, but it can help you get the most out of your HVAC system. Most houses have quirks that rankle the most patient of homeowners. Maybe yours has uneven temperatures and allergens that you can’t quite get under control. Or maybe you’re tired of paying high energy bills but aren’t quite sure what to do about it. Aeroseal was designed to help. Many air quality, efficiency and general HVAC issues are rooted in air leaks throughout the ductwork system. Aeroseal stops the leaks, and the process is just about as noninvasive as it gets. Here’s what you can expect from it. Air leaks throughout the ductwork let your expensive heated and cooled air escape. But they do something else, too: they draw in musty, dusty, allergen-laden particles. 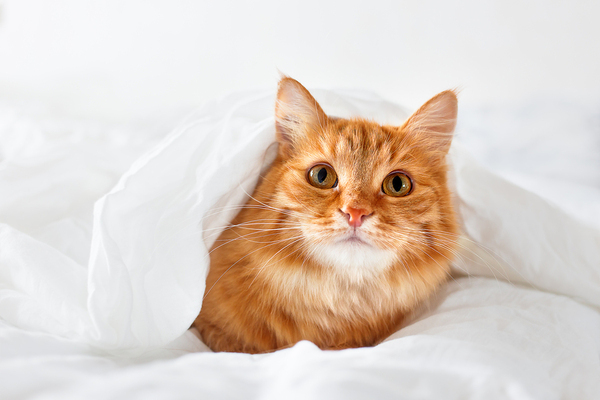 Once inside the ducts, those allergens are blown out into every room in your home. Think about where your ductwork runs. In most Massachusetts homes, the network branches out through walls, basements, crawlspaces and attics. And those areas are notoriously dusty. Some are also dank with mold and mildew problems. Aeroseal stops air leaks, and that helps keep your indoor air cleaner and more allergen-free. What good can eliminating air leaks do if the sealant sends a whole new range of air pollutants into your home? With Aeroseal, that’s a nonissue. The product is so safe, it’s used in hospitals and government buildings. The manufacturer explains that the polymer which seals ductwork gaps is the same water-based material used in hair spray and chewing gum. It has “extremely low” VOCs. Any odor is mild, similar to water-based paste used for children’s crafts, and usually disappears in about a day. Some homeowners wonder about the method for sealing, how much product is used and what might happen inside the ducts over time if Aeroseal fails. But ducts aren’t lined with the polymer. It only bonds with the gaps that you need to seal, leaving the rest of the network as it was. In fact, you could still have ducts cleaned seasonally if you want. But you probably won’t need to. Aeroseal only lands and bonds where it’s needed. A fine particle mist flows through the ducts under pressure and is forced into cracks and loose seams. The remaining particles blow on through, leaving no residue behind. Of all the pros about Aeroseal, this one might be the greatest. In fact, high energy bills are often the reason New England homeowners look into duct sealing in the first place. Air leaks rob you of heated and cooled air. 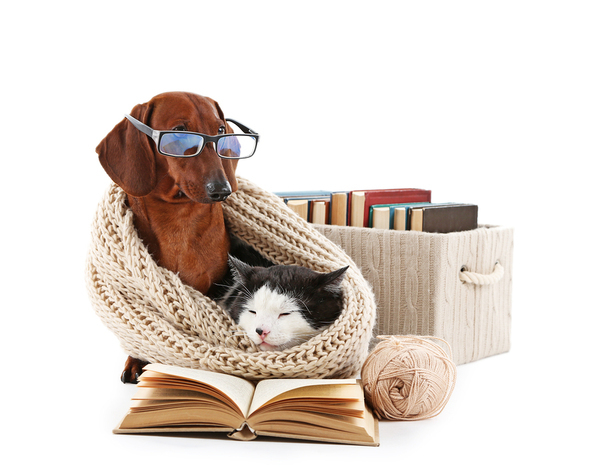 They cause your HVAC system to work harder, and drive up energy costs. Sealed air leaks prevent air loss, which makes your home more comfortable. It can help eliminate hot and cold spots, take some of the load off your HVAC system, and ultimately lower your consumption and costs. Many homes lose 20-40% of conditioned air through leaks. Aeroseal prevents 90 percent of that. Traditionally, duct sealing required mastic or aluminum tape to close off gaps that waste conditioned air. But the majority of your ductwork is likely inaccessible or at least difficult to reach. Sealing a whole system would mean climbing through attics and crawlspaces and maybe even cutting into drywall. And that doesn’t even begin to address the problem of identifying the leaks in the first place. Aeroseal works differently. First, your ductwork is closed off. Then a pressure test shows the volume of leaks present in the system. That tells your technician how much polymer to use. Then a fine mist of sealant is sent into the system where it’s automatically forced into gaps, no matter where they exist. Remaining particles are blown out, and your ductwork is sealed better than new. Air leaks plague most homes, but you don’t have to live with the problem. A simple process can reduce allergens, improve air quality, lower energy bills and make your whole house more comfortable. Call Rodenhiser today and learn more about this revolutionary duct sealing system. We’ve helped homeowners in Milford, Framingham, Concord and throughout the Route 495 / 128 area for over 85 years, and we can make your home more comfortable, too. Have you ever noticed the impressive quiet that descends during a power outage? People are inundated with noise to varying degrees all day long, every day. And a big part of that noise comes from heating and cooling systems. It’s so common that silence can be a bit jarring at first. 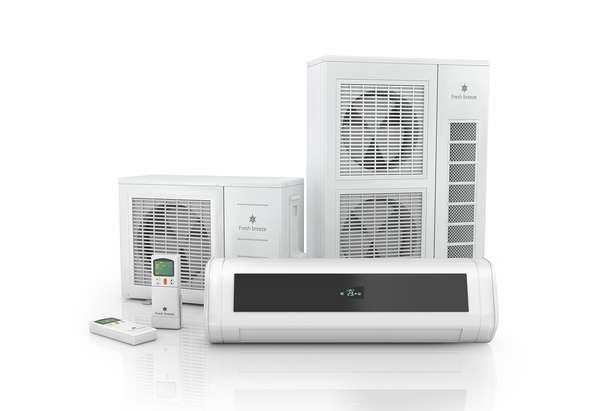 With a ductless AC, you’ll find a significant reduction in ambient noise. That’s the stuff you live with every day, but rarely pay attention to unless it stops. A ductless system replaces that noise with sounds so slight you’ll be pleasantly surprised. Here’s why. Maybe you’re thinking, “Thank you, Captain Obvious!” But some homeowners are so accustomed to a central system that relies on ductwork, it’s hard to imagine how HVAC could function without that network. It’s simple, and part of the reason why ductless systems are so quiet. Also called mini-split systems, ductless heating and cooling uses very small tubes, and they don’t run throughout the house. These tubes connect the wall-mount unit to the condenser outside. Air flows into the room from the wall unit, not from registers. And it’s usually much quieter than a small fan. Ductless engineering is quiet from the start. You won’t hear heavy equipment cycling off and on all day the way that you can with some traditional systems. When they start up, most generate a bit of noise from the motors and then from the fans that force air through the ductwork. And then there’s the noise of the whooshing air, itself. With a ductless system, those major mechanical sounds primarily happen outdoors. And because ductless condenser units are much smaller than traditional heat pumps, the sounds that they do product are quieter. Aside from the overall function of a ductless system and how it differs from an ordinary setup, ductless heating and cooling is built to be quieter than its counterparts. Each component is thoughtfully engineered to reduce noise, which makes living with them much more peaceful. You can expect a higher level of insulating material in the components that inherently produce noise. For example, where there’s a motor, you’ll find sound-dampening technology. All air conditioners vibrate to some degree. But with ductless, you’ll find vibration dampening technology, too. Most people grow accustomed to normal sounds that accompany a traditional HVAC system. But sometimes mechanical issues emerge and then grow so gradually that they’re unnoticed until they’re critical. Home inspectors and HVAC technicians have devoted pages and pages of educational material to the topic of identifying noises. But the bottom line is that some sounds are never normal, no matter what. You can expect to hear a fan spinning. And when a motor kicks on, it’s not usually a silent process. But clunks, bangs, whirrs and buzzing noises are a good indicator that the unit is in distress. If your system has developed a new vocabulary of noises, it’s probably time for a checkup and it might be time for a whole new system. Ductless AC and heating systems can surprise the savviest of homeowners. They’re ultra-efficient, so most people start saving money right away. Another big shock is the heating capability. Where a traditional heat pump isn’t designed to produce adequate heat when temperatures take a severe dip, ductless systems, which are heat pumps, can usually perform quite well. But for day-to-day living, the ambient noise reduction is an extraordinary benefit. If you’re tired of living in a buzzing, whirring, whooshing home, maybe it’s time to consider high-efficiency ductless. All that you’ll feel is comfortable, conditioned air. And all that you’ll hear is quiet. Rodenheiser has delighted Massachusetts clients throughout the Route 495 / 128 area for over 85 years. Talk with us about your new ductless HVAC system install and see why so many homeowners are making the switch. Most homes have leaky ductwork to some degree, and that reduces air quality while costing you comfort and money. In an average home, about 30 percent of conditioned air is lost to leaks, according to the U.S. Department of Energy. But Rodenhiser offers Massachusetts homeowners an effective and affordable solution: Aeroseal. This technology changes the way many people think about duct leaks. If you consider the location of your home’s ductwork, it’s hard to imagine accessing all of it. Finding and sealing leaks that might be tucked away in the farthest recesses probably seems impossible. But that’s what Aeroseal does. There’s no such thing as a typical location for ductwork leaks. Some areas are more prone, such as seams and bends, but leaks can pop up anywhere in the network. Instead of locating every gap and sealing them one by one, an Aeroseal treatment focuses on sealing every leak at once. This tells us exactly how much air your ductwork is losing. We seal off the registers throughout your home and run a pressure test. That shows us the extent of the problem and how much air is being lost. Then we temporarily seal off your HVAC system from the ductwork to prevent any of the material from getting inside and causing damage. Aeroseal reaches all of the places that you can’t get to. Once the system is prepped, then the Aeroseal process starts. We inject aerosol sealant particles into the ductwork and keep them from settling right away by circulating the air inside. That gives the material a better chance of finding its way to leaks instead of landing and sticking where it’s not needed. This process seals the ducts from the inside, which is a more effective method than aluminum tape and mastic applied from the outside. It not only finds more leaks, but it seals them permanently. And unlike mastic sealants, only a few ounces of Aeroseal is required to do an average home. After the Aeroseal treatment is complete, we don’t leave you wondering whether or not it worked. The whole process, beginning to end, is computer monitored. You’ll see the initial results from the pressure test that show the extent of air loss. And then you’ll see how much is lost after the treatment. The difference is usually dramatic. We’ll provide you with a certificate of completion that contains a before-and-after summary of duct leaks. You’ll see the total CFM of leakage and how that would compare to a single hole in the ductwork. For example, a total loss of 254 CFM is the equivalent of a 48-inch hole in the ductwork. And you’ll also see how the improvement in your system translates to better HVAC efficiency. No ductwork is 100 percent leak-free. The average home has numerous gaps throughout the network. Each one on its own might be small and insignificant. But collectively, these leaks can equal big losses. Aeroseal makes ductwork sealing faster, easier and much more effective. It approaches the problem differently. Instead of a technician investigating the ducts and sealing whatever is found, this material is naturally attracted to every leak, no matter where it exists. Even if there’s a tiny leak in the farthest reaches of your attic, Aeroseal will find and seal it. If your utility bills are oddly high and your home isn’t as comfortable as it should be, chances are you have leaks in the ductwork. Rodenhiser is the HVAC professionals that Massachusetts homeowners have relied on for generations. Contact us for Aeroseal HVAC service today, and see a dramatic improvement next month and all year long.